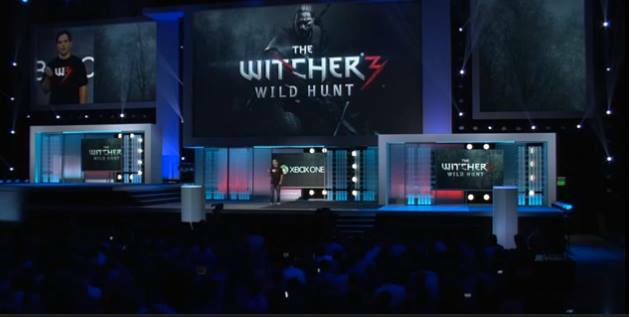 CDProjeck RED took to the stage during Microsoft’s E3 press conference to show some first footage from The Witcher 3. Not a lot of new features were announced, but at the very least, we got to see some footage. Any Action-RPG fan should start getting very, very excited. The game will boast a “multi-region open world”–the first game in the series to truly do so, as the previous titles had truncated, separated areas similar to Fable. This, CDProject RED says, will be truly open world, and gives the player both a boat and a horse to travel it. There will also be improvements to combat, dynamic weather, stats, and extremely sharp graphics. The enemies also appear to be more creative, and next-gen processing power also allows for some great particle effects and realistic-looking plants. What do you want to see in The Witcher 3? Tell us in the comments, or visit us on our Facebook and Twitter!